Give your Daihatsu the protection it needs from the British elements with our high quality, hardwearing tailored car mats. Cut from the original templates to guarantee a perfect fit, supplied with all fixings for an easy installation, manufactured in the UK to ensure quality, and made of fire retardant and waterproof material, our car mats are shipped swiftly and are covered under the manufacturer’s warranty. Available in a range of colours, they are also highly customisable with options for the thickness of rubber, quality of carpet, style and material of edge trim, and even the ability to add your own custom logo. 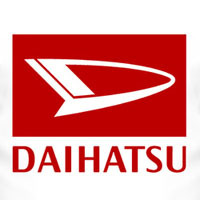 When it comes to protection, style and value for money, our tailored Daihatsu car mats are hard to beat.